GROW A BIGGER AND BETTER GARDEN! 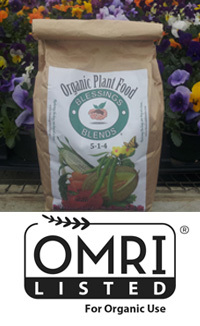 We are proud to announce our newest OMRI listed fertilizer (5-1-4) for those who wish to grow organic vegetables! Look for the new 7 lb. bag at our Route 1 location this Spring. Coming to a garden near you this year! 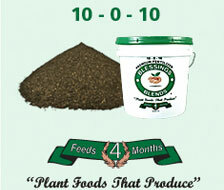 BLESSINGS BLENDS Premium Fertilizer (10-0-10) combines the benefits of using Compost with Controlled-Release Fertilizer to provide a product that is ideal for use in environmentally-sensitive areas. Our Fertilizer feeds for 4 months, so Home Gardeners and Organic Producers can be confident that they are using exceptional quality Plant Food to produce tastier fruits and vegetables. 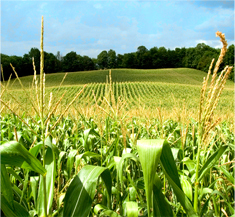 The main ingredients for BLESSINGS BLENDS Premium Fertilizers are created from a consistent stream of yard and poultry waste located on Delmarva. This process converts thousands of tons of waste into beneficial products which not only rejuvenates the soil, but also helps to restore one of our national treasures, the Chesapeake Bay.